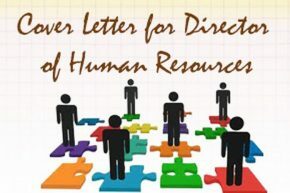 If you are planning to apply for a position of Director Human Resources then it is must that while submitting your resume, you must submit it with a professional and impressive cover letter. It is important to keep in mind that it is the first encounter with the company and you must work hard to stand out in the crowd. Here is a sample cover letter for Director of Human Resource to help you draft a personalized letter that you can send with your resume. I just came across the posting for a Human Resources Director in your company which caught my attention. I strongly believe it to be an ideal match for my experience, career goals and interests. I possess an experience of 20 years in the industry as human resources professional. I have always worked hard to make sure that it is in the benefit to the company. I have a record in developing and executing best HR related practices in the company along with an experience of creating work environments that are healthy and cordial to retain talent people in the organization. I promise to offer the best of my services to your company to make it rich in human assets. You can have a look at my resume which is enclosed with the letter which clearly indicates me to be person who works to bring more and more improvements in the workplace to make it a better place for employees. I work in creating synergy between the employees to help them work for the goals of the company. My areas of strength include recruiting and retention employees, training and development, and benefits and compensation. I have always worked hard to seize the challenges and mentor the projects with high energies and hopes. I put in the best of my abilities to make every program a success by involving employees in it. I work as a team leader to bring out the best of the qualities of the employees. I possess excellent communication skills that help me bargain smartly. I promise to be a very useful asset to your company. Thanks you for consideration. If you find me the right candidate for the job then please allow me to meet you in person so that we can mutually discuss our needs and goals. Please feel free to get in touch with me on my contact details stated below. Hmm it appears like your website ate my first comment (it was super long) so I guess I’ll just sum it up what I wrote and say, I’m thoroughly enjoying your blog. I too am an aspiring blog blogger but I’m still new to the whole thing. Do you have any tips for first-time blog writers? I’d really appreciate it.